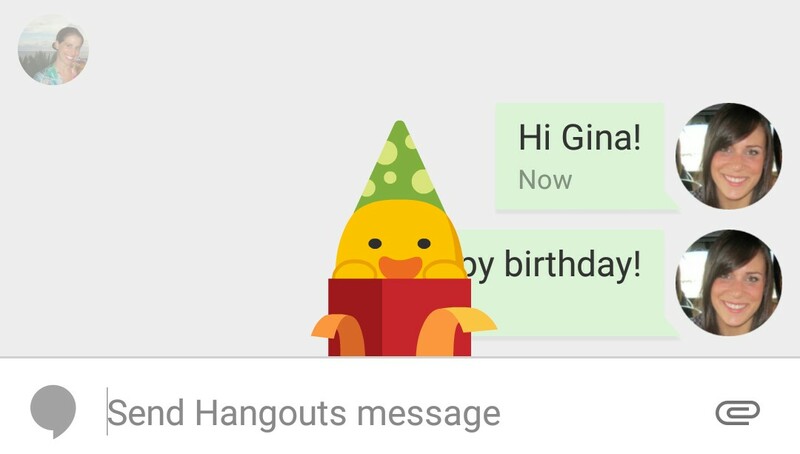 Google’s Hangouts app for Android is getting a major update today, as the company’s VP of Product for Google+ Bradley Horowitz announced at the LeWeb conference in Paris this morning. Some of these new features are mostly just fun, but a couple of others actually make the service easier to use and show a first glimpse at Google’s future plans for this service. Among the fun new features are 16 new sticker pages and a couple of Easter eggs (just type “woot” or “happy birthday” into a chat to see what those look like after you’ve installed the update). On the visual side, you can also now apply filters to your video chats (think sepia, vignette, black and white, etc.). Those are fun little features, but what’s more important in this update is that Hangouts is also getting smarter. 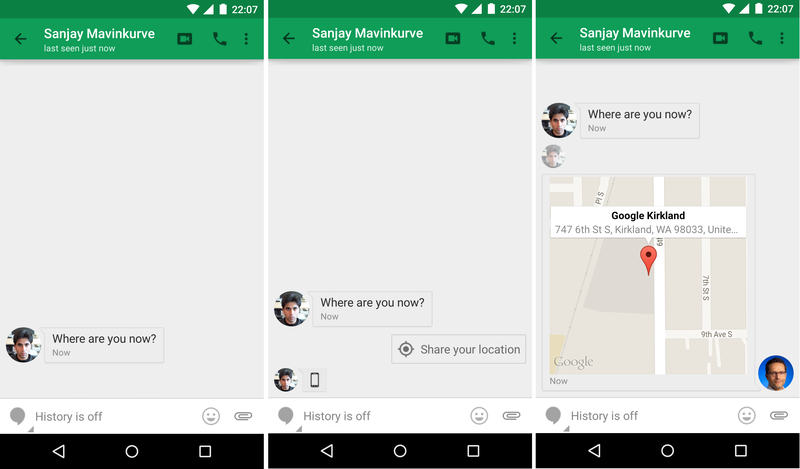 When somebody now asks you where you are, Hangouts will automatically prompt you to share your location. All you have to do is drop a pin on the map (so you can fudge your location a little bit in case you don’t want to give away where exactly you are). It’s worth noting that Hangouts already features location sharing today, but what’s new here is that Google is trying to parse your conversation to look for clues when it can automatically provide you with a quick reply option. Your contacts will also now show a “last seen” timestamp so it’s clear when somebody is online. And in order to consolidate all your contacts, this new version also allows you to import all your phone’s contacts, too. Given that Google has now integrated text messages and the Hangouts chat tools into a single application, it’s nice to see that it is also trying to make the chat experience a bit smarter. Location sharing isn’t new, of course, but Google’s natural language processing algorithms probably have the smarts to enable a large number of similar experiences, too. Chances are then that understanding questions like “where are you?” is just the beginning of what Google can do here. You could easily imagine a similar response to questions like “are you free?” That one could pull up information from your Google Calendar, for example.